Welcome! Our goal is to provide you with free air purifier reviews in an easy to read comparison format. When we started we didn’t know much about air purifiers. After being in the market a few years ago for an air purifier we put together our experiences. As engineers this somehow became a project that took on a life of it’s own. After doing this for a couple years we set up this web site. This content is from a variety of sources. Most of the information is from live product testing. We also look at consumer feedback ratings. As well as independent test results of HEPA air purifiers. Combining testing with consumer reviews gives both technical and real life assessments. The goal is for you to get cleaner air. 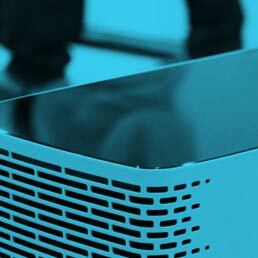 To give you better insights into the top ranked air purifiers we include product videos. What you see are the best videos available from youtube. To save you time in your research and see them in action. Therefore with the listing of air purifier ratings you can find the air cleaner that is best suited for your home. We hope that you find our site a valuable resource. And to save you time in your quest for clean air. 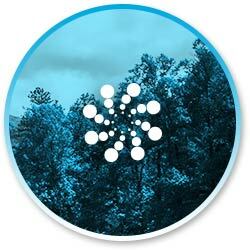 Each air purifier is grouped based upon its air purifying technology. There are many differences in how each air filter cleans the air. These pages provide the information you need to make the best choice. The air purifiers on our site have been thoroughly reviewed with the primary test criteria being ease of use, air flow and filter efficiency. Ease of use describes the relative ease of operating the air purifier including general operation and the air filter replacement process. The air flow is a measure of the amount of air that is effectively pushed through the air purifier. This is one of the best metrics used to determine the size of the room the air purifier can clean. The final measurement is the air filter efficiency. This is a rating of the percentage of airborne particles that are removed by the air purifier with each air passage. The combination of these three metrics provides a strong foundation to rate air purifiers. Other considerations such as product quality, design and power consumption are factored. They are found in the consumer review sections. The overview will provide a menu to what we offer on the web site. The most popular page is our best air purifiers for home. This is the place to go to see a summary of how each air filtration system is rated. 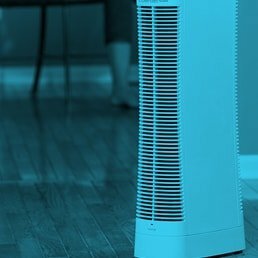 If you continue down the page there is a lot of good information covering such topics as the history of air purifiers including the Ionic Breeze, key learnings about HEPA filters, and the Clean Air Delivery Rate. We discuss what airborne particles can be removed. This includes dust mites, mold spores, dust pollen, pet hair, pet dander, air duct dust and other main air pollutants. 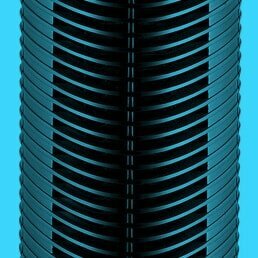 There is an introduction to the granular activated carbon filter. And how to size an air purifier to ensure it provides enough air flow for the square footage of your room. 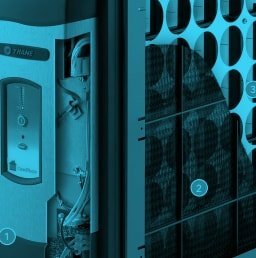 This page finishes with the future of our air purifier testing and some models that we would like to test. All of these models are portable air cleaners and meant for small to medium sized rooms. Such as the the Sharp Plasmacluster ionizer, Winix Plasmawave air purifier, Venta AirWasher, Whirlpool Whispure 510 air purifier, Alive air machine, Airfree air sterilizer, Idylis 5-speed 465 sq ft HEPA air purifier and the Honeywell air purifier. The current air purifier reviews cover top brands like Austin Air Healthmate, Blueair HEPASilent, Germ Guardian, Airocide, Ionic Pro, Oransi, Amway, RabbitAir, Dyson air purifiers and Oreck. If you need clean air in a large square footage space then be sure to check out our commercial air purifiers page that we describe below. Our Learning Center is chock full of indoor air quality content. The Allergies and Asthma page explores common air allergens and allergy symptoms. We also cover asthma is including the different types of asthma and asthma symptoms. There is a link between and allergies and asthma and this page gives a good overview. The CADR Ratings Scale page takes a technical topic and makes it simple. At least, more simple than it could be. We review how the Clean Air Delivery Rate works. How it is managed by an organization called AHAM (the Association of Home Appliance Manufacturers). We include some factors to consider when considering the CADR number. Such as that it is based on you running the air purifier on the highest fan speed. And in practice you may operate the purifier on a lower fan speed. This page finishes with a summary of how we rate air purifiers with improvements to the CADR rating. 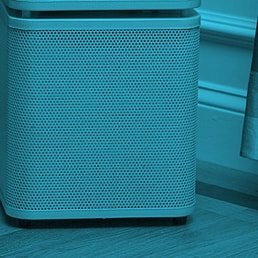 The Do Air Purifiers Work page is a fun look at airborne allergies, dust, dust mites and pet dander and how they relate to air purification and indoor air quality. There are 3 special findings from this research. It has to do with filter efficiency in the removal of airborne particulates and odors such as the smell from tobacco smoke. I won’t spoil the results. You will need to check it out. The HEPA Efficiency filters page as the name suggests is a look at the definition of the true HEPA filter. We also look at the efficiency of air filters and what to look for in choosing the best air filter for your air cleaning system. The Activated Carbon Air Filter page digs into why carbon can be such an important filter in addition to a HEPA filtration system. The page outlines how to activate carbon and the difference between charcoal and carbon. There is a summary of the top 3 types of activated carbon. Those are powder activated carbon, granular activated carbon and treated carbon. Another type of filter is the activated carbon pre-filter. This is not meant to provide a high level of tobacco smoke removal. But rather to remove airborne particles like dust, pet hair, and pollen. We finish with a discussion of two other carbon like materials – zeolite and potassium permanganate. The Air Purifiers Made Simple page is an overview for what an air purifier is. This also serves as a menu for the site and finishes with content on how our assessments are different. The Ozone Generator Guide is one of our newer pages. 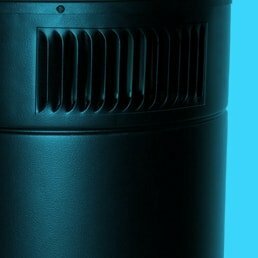 As the name implies it is a deep dive into the world of room air cleaners that exist for the sole purpose of producing ground-level ozone, a known indoor air pollutant. You will learn what an ozone generator is for and how ozone is created. There is a good discussion on the dangers of ozone including a YouTube video. This shows the impact of ozone on your lungs. The page continues with the effectiveness of ozone. We touch on the negative ion generator and how air ionizers like this are regulated. Some models that produce ozone include the Alpine air purifier, Air Oasis 3000, Living Air, and Surround Air Multi-Tech. The HEPA Air Purifier page covers everything you will want to know about HEPA filter air purifiers. It starts with the definition of a HEPA filter. Then shows how a HEPA filter works. The MERV rating is explained including how to read the ratings scale. The HEPA air filter advantages and disadvantages are listed. We also talk about room size. This is to ensure the air cleaning system can properly clean your room based on the square footage. We finish with other considerations. Such as the fact that HEPA air purification systems are limited in removing odors like cigarette smoke smells. The Allergy Air Purifiers page is the definitive guide to choosing an best air purifier for allergies. Before getting to the air cleaners we start with what allergies are. 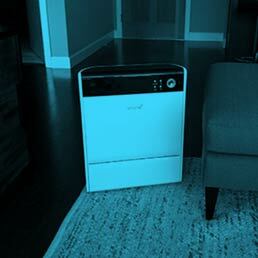 We share our learnings of airborne allergy air purifiers from the testing we have done. We find that in removing allergies is similar to the removal of mold spores, pet dander, pet hair, dust pollen, and dust from air vents. We talk about performance and our findings that a true HEPA filter is better than a HEPA-type filter. They remove more particles. And more importantly, the smallest, most harmful airborne particles. We show how to choose an air purifier for allergies along with HEPA air purifier advantages and disadvantages. We explain where to use the air purifier and finish with a discussion on the limits of a HEPA air filter. The Commercial Air Purifiers page is your guide to choosing the best commercial grade air purifier. This can be for your home air filtration or in a commercial use like at an office or industrial setting. In the world of industrial air purifiers, we see a fair amount of ozone generators but did not include them in our analysis. This is because of safety concerns and we have no way to assess the performance. We give a summary for how we selected the top commercial cleaners including those that can clean a large sq ft area. There is thorough review of the HEPA and ULPA filters, activated carbon filters, and air flow to make sure the air filtration system will circulate enough air for your room size. Top models include IQAir HealthPro Plus and Oransi EJ air purifiers. 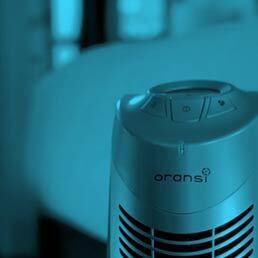 The Electrostatic Air Purifiers page explains how this type of electronic air purifier works. We discuss the advantages and disadvantages. This system is also known as an electrostatic precipitator. Then talk about ozone concerns and secondary air pollution. We finish with some popular electronic air cleaners such as the Oreck air cleaner. 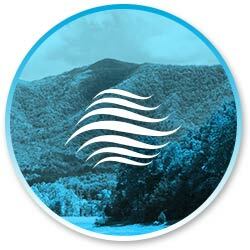 The Ionic Air Purifier page is your guide to a comparison of the best air ionizers. We show how an ion generator works. Then hit the advantages and disadvantages with a negative ion air cleaner. We explain what an ion is as well as negative ion generators, Sharp Plasmacluster ion technology and plasmawave technology. We finish with a review of HEPA air purifiers with air ionisers. Examples of ionic air purifiers include the Sharper Image Ionic Breeze, Fresco air cleaner, Edenpure air purifier and Therapure Ionic Pro air cleaner. 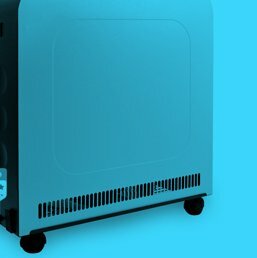 The Smoke Air Purifiers page highlights what to look for in an air purifier with smoke removal for fresh air and the removal of indoor air pollution. We go into the advantages of activated carbon air filters as well as the disadvantages. We show how well they remove volatile organic compounds (VOC’s). There are some other technologies that are sometimes used for cigarette smoke removal. These include ionic and the ozone generator. We finish with the effectiveness of each air cleaning technology. The UV Air Purifier page is a comparison of ultraviolet light air purifiers. We give the history of UV-C lamps and how a UV germicidal lamp can improve your indoor air quality. Air cleaners with a UV lamp tend to be lower power while those used in air ducts can be quite powerful in preventing mold growth. We end this page with a listing of popular UV-C light air purifiers including those that use HEPA air purification. The Whole House Air Purifier page is a comparison of your choices when it comes to whole home air cleaning. These choices include low cost air filters from the store, a whole house air cleaner that is installed into your HVAC duct system and room air purifiers. We list the most popular whole house air filtration systems. If you want whole house air cleaning, you will want to make sure it can clean the full square footage of your home. 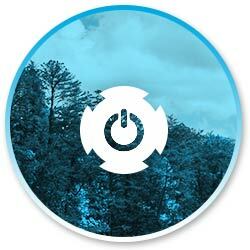 Some of the air purifiers we review are Energy Star certified. If any product is part of the Energy Star program we will begin to highlight this in the product review page. One of the objectives for our site is to provide you with the information necessary to make an educated decision. So you can select the best air purifier for your situation. We hope that you find our air purifier rating and ranking system easy to understand and valuable to be confident with your decision.